Our loyal customers have given us the honor of getting to know them over the years. We thought we should reciprocate and give you a peek into what makes us GO. Let’s have a chat with Seth Rudin; CEO, and Co-Founder of asterRIDE. Nothing beats home with the family. Given my frequent travels, it gets blurred, and I love spending time at home with my wife and dog. If I were to give my top 3 vacation spots, it would be Banff, Canada, Yellowstone National Park and the Amalfi Coast in Italy. How did you get the idea for your car service? We built asterRIDE because my co-founder and I felt we could do this better than texts and phones. Using a ride-sharing service for ourselves and our families just didn’t feel right – drivers with little to no insurance and minimal background checks. We wanted a great experience; reliable, safe and convenient for each of our passengers.. One that was easy to book with transparent pricing and professional treatment by a professional chauffeur. So, we started asterRIDE. Aster is a beautiful flower, and thus you get a beautiful ride. We believe that every time a customer books a ride with us they are validating our vision. 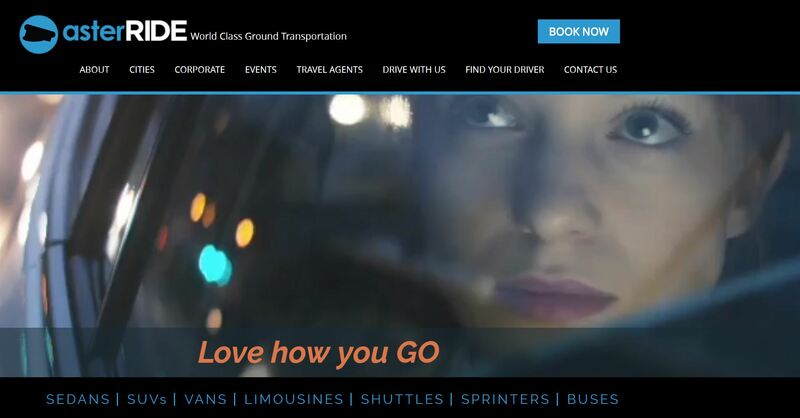 Provide Passengers with a World Class Ground Transportation Experience. We put our passengers and chauffeurs first, equally, as we believe for the passengers to have a great experience, their chauffeur must be happy. Happy Chauffeurs means Happy Passengers. Passengers want to book a ride quickly and simply. They also want to ride with happy chauffeurs. Our limo operators and their chauffeurs are trained to be positive, greet passengers with a smile, speak only when spoken to and to maintain clean and safe running vehicles. What do you attribute to asterRIDE’s success? Our success lies with our chauffeur’s outstanding service, and our passengers continued loyalty and belief in our services. It’s really that simple. Provide convenient, safe and reliable transportation that results in a 5-star experience. What do you look for when you onboard a limo operator onto asterRIDE’s platform? Our network of limousine operators is a reflection of asterRIDE’s values and philosophy. We look for limousine operators who value customer focus and providing an outstanding car service experience along with deploying only the best chauffeurs to drive our passengers from Point A to Point B. The focus on maintaining a culture of valuing chauffeurs equally with our passengers brings equilibrium to our platform. What is your favorite vehicle in the asterRIDE fleet? There are so many to choose from that this is not an easy question to answer. The Tesla SUV is an amazing vehicle but so is a fully equipped Cadillac Escalade or Mercedes sedan. I was speaking with a small fleet operator who was struggling early on before joining asterRIDE. He explained how working with asterRIDE enabled his business to grow and expand rather shrink. He appreciates each of the passengers that he chauffeurs around. It was eye-opening to learn about the impact we had made on his personal business and income potential. What is the top thing that sets you apart from other car services? asterRIDE is a clear step above the other booking platforms as we personally deploy our values for a great ride experience from top to bottom. We go the extra mile to ensure a safe, reliable and convenient ride experience for all asterRIDERS. We are truly the only platform to connect 1000’s of limousine operators onto our platform to work uniformly under the asterRIDE trade name and provide a first-class experience. Several of our operators have been awarded or nominated for the Operator of the Year Award by the National Limousine Association – one of the highest awards a company can aspire too. What does asterRIDE do to give back to its communities? asterRIDE believes in giving back and participating in our communities. We are active in our communities supporting local charities and attending the events of our communities. We have donated thousands of dollars to the American Cancer Society, Denise Louie Foundation to support multicultural learning, and Fighting for Our Heroes Foundation. With so much heart behind what we do at asterRIDE, its no wonder Entrepreneur Magazine acknowledged us as a Top 100 Brilliant Companies shortly after our launch. Our professional chauffeurs are available globally, in most major cities. Just download our app and book your ride today.